We’ve put this 3-part guide together to help demystify the world of logistics and warehousing for any entrepreneur, startup or growth business looking to set up their supply chain. Demand for warehousing continues to grow across the UK with record amounts of money pouring into the sector and increasing scarcity in available prime industrial property. This has been driven by the huge growth in e-commerce and demand for last-mile logistics; in 2017 over 17m sq ft of new large industrial units were taken up by occupiers in the UK. However, at a time where demand continues to grow, access to warehousing continues to be problematic with the parts of the logistics industry remaining very opaque and difficult to access. Industry jargon is used to describe the same logistics service in multiple different ways and a lack of digitisation has meant that data around pricing for services continues to be scarce. At Stowga, our mission is to ‘Optimise Industrial Space’ and that involves bringing transparency and visibility to the market, allowing customers to make an informed and intelligent decision when choosing their warehousing strategy and consequently building their supply chain. We’ve put this guide together to help demystify the world of logistics and warehousing for any startup, entrepreneur and growth business. Ultimately, we hope to make it faster, simpler and cheaper to access warehousing space and services across the world. Part I - Warehousing fundamentals and the key questions you need to ask before deciding on what warehousing strategy to pursue. 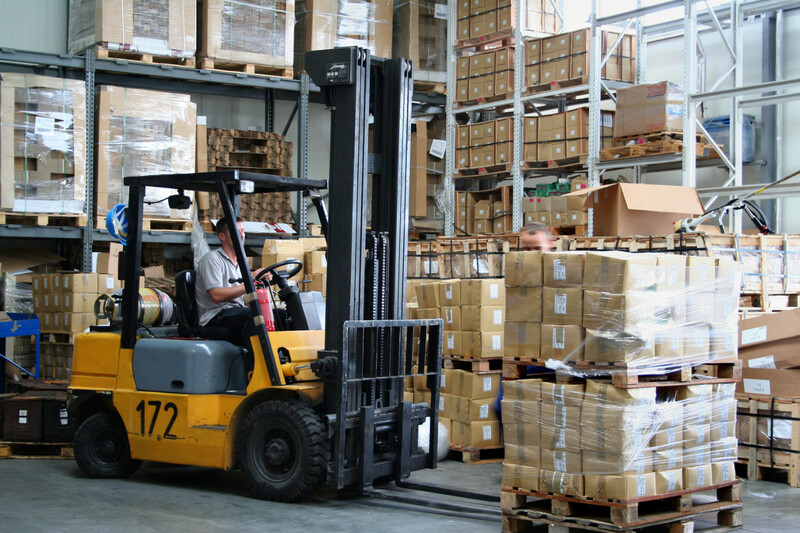 Part II - Factors to consider when searching for and choosing a warehouse. Part III - A guide to fulfilment and answering questions around getting products in the hands of the customer. For any company selling physical products, having an appropriate warehousing strategy and supply chain is an absolute necessity to compete in the modern economy. We have built the Stowga Marketplace to help solve many of the logistics problems that may arise when growing a business. This can range of shipping the product for the first time, short-term warehousing to store overspill for a growing business or even building a global supply chain. Our goal is for any business to be able to connect and compare thousands of warehouses offering a range of logistics services at a click of a button. This section looks at the fundamental questions that need to be answered at the outset when choosing a warehouse. Initially, the key questions are around whether you require a warehouse with access to services or just an empty building to run yourself. We compare the relative advantages of owning a warehouse vs using 3rd party warehousing and the process to access these services. Why do I need a warehouse in the first place? Any company that has physical inventory needs to store that inventory as it flows through the supply chain and this is the basic utility of a warehouse. However, warehouses can also offer services beyond that, such as: picking, packing, packaging, labelling, sorting, assembly, fulfilment and much more. The warehouse is an integral part of any supply chain and having an efficient and flexible supply chain provides businesses with huge operational advantages in distributing their product. What is the process to own and operate my own warehouse? First, you need to buy the actual property to be used as a warehouse, which involves dealing with a property agent to first source the appropriate building. After this, a specific lease must be negotiated which generally takes 3-12 months and represents a multi-year commitment to the property. Lease lengths vary but are generally between 3-7 years but can be much longer if needed. The advantage is that the building is owned by the business and you have the freedom to operate as you want within the constraints of the lease. What are the 3rd Party Logistics (3PL) options available? 3PL’s are companies dedicated to providing logistics services to other businesses. There are thousands of separate 3PL locations in the UK and they vary from large multinational organisations that deal in contract logistics for large corporates to smaller 3PL’s where services start from a few pallets of stock. There is also a huge range of services provided across the 3PL’s which cover the logistics requirements of businesses across sectors. The main advantage of this approach is that logistics is outsourced to specialists and you can benefit from both their operational knowledge, labour force and technological capabilities. What is the process to access 3rd Party Logistics (3PL’s)? To access 3PL services you can speak to supply chain consultants or simply search the internet for providers. However, the simplest and fastest way to find a warehouse and access these 3PL services is using the Stowga Marketplace. Shall I run a warehouse myself or outsource it to a 3PL? The most important question to answer when thinking about a warehousing strategy is whether you want a third party logistics solution, or own and operate the warehouse yourself. There is a more detailed discussion in the following blog post. 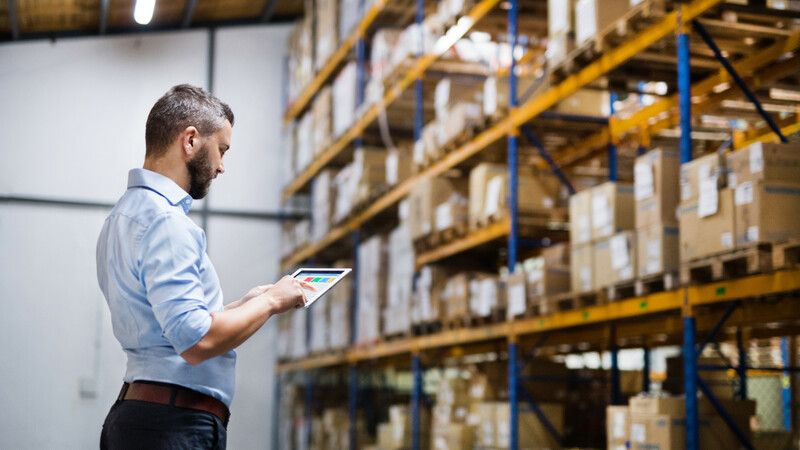 In general, for growth businesses that need to be responsive to the external environment and want to avoid the significant financial outlay of buying and running a building, the 3PL solution is a superior alternative. An additional advantage is that you can tap into the technology and expertise of specialists in their field to help optimise the operational aspects of your business (e.g. advising on packaging, and presentation for promo offers, adding stickers on boxes, checking the content of the boxes for damage, etc.). However, for certain businesses where total autonomy of the logistics is important, they operate on a large scale or they have a very specialised product, this may not necessarily by the case. There is no rule of thumb and it really depends on the specific circumstances of the logistics requirement. What are the main types of supplier of warehousing Services? 3PL - These are dedicated providers of logistics services as their primary business. They generally are selling a service solution rather than just space and have experience in providing logistics to clients. 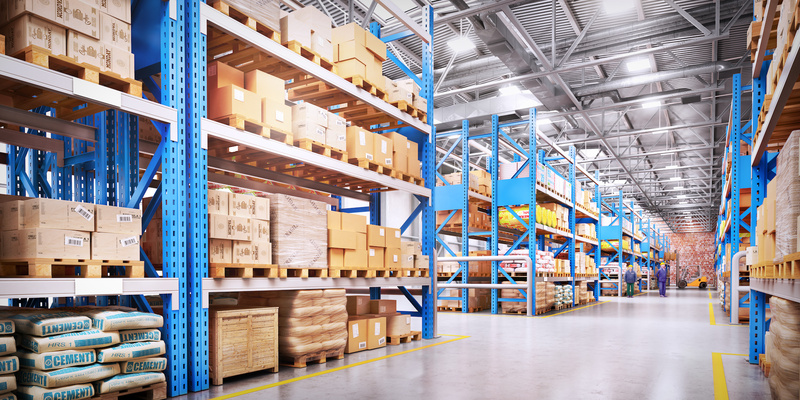 Grey Space - This is spare warehousing capacity within a retailer or corporate or any business that does not provide logistics services as their primary business. This includes some of the largest retailers and corporates across the country all of whom have spare warehousing capacity. This space is only accessible through a platform and it’s usually not advertised directly. 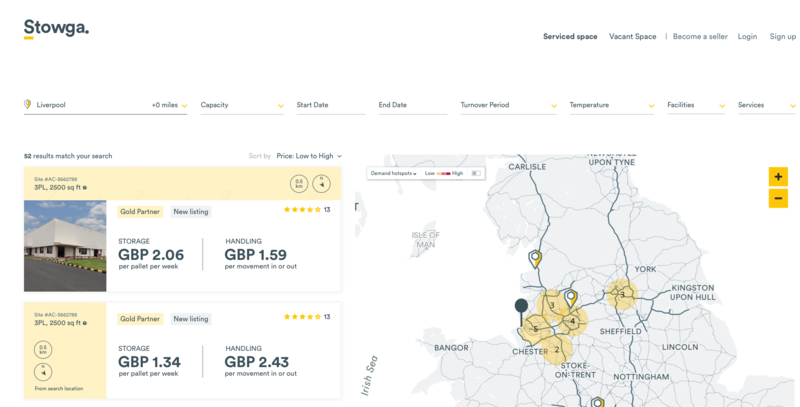 The advantage of connecting with grey space is that, because it is empty short-term capacity, it is often cheaper than 3PL alternatives in the area. How long is the contract for warehousing services? Each contract can be as long or short as required, depending on the particular site. Generally a lot of logistics contracts are designed to be flexible so contracts can be on a 1-month rolling basis, however longer fixed terms contracts are also possible. The main way to mitigate any potential issues with logistics is to make sure you’re choosing the appropriate site. Ratings, brand and previously client testimonials help with this decision-making process. However, mistakes are inevitable over time and the important thing is that you have some kind of compensation policy in place. Stowga is able to connect you with insurance partners who can insure the goods against theft, damage and other scenarios.